Dannon Grubb, a graduate of Rockwood High School, received a scholarship to play baseball for LMU. Dannon plays as an outfielder and also an infielder. While a student at Tate's, you could always spot Dannon actively engaged in playing sports. 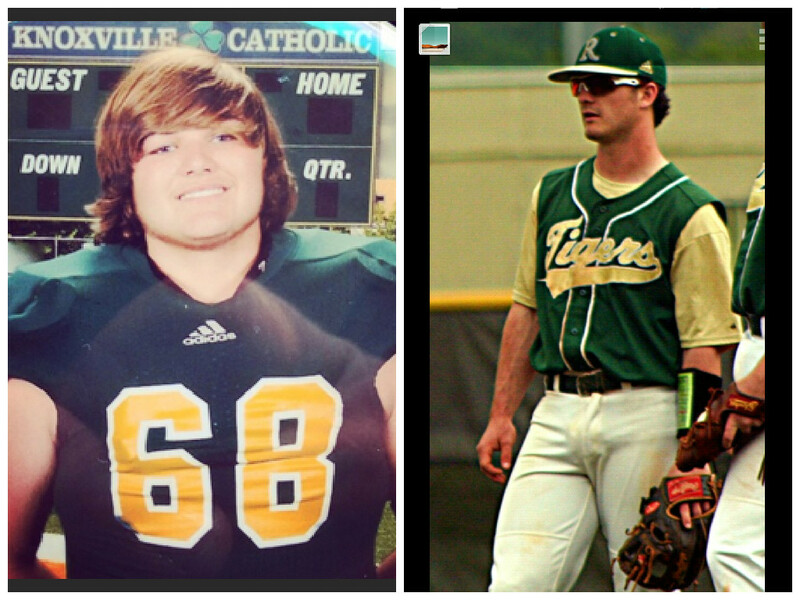 Cade Mayes is now a freshman at Knoxville Catholic High School. Cade plays on the football team as an Offensive Lineman and Defensive Lineman. He has already received a scholarship offer to play football at the University of Tennessee upon graduation. Cade says "My fondest memories of Tate's are playing basketball at recess and all the fun games that went on. Doing school work beside the pond was great. Afterschool was also fun!" Congratulations to these fine young men on their accomplishments. Tate's School is very proud of you!